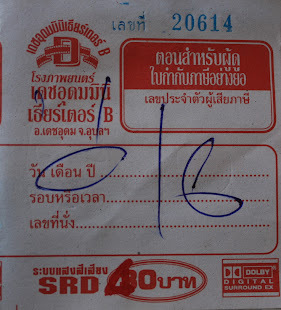 A brief sojourn into Kanchanaburi Province proved fruitful, if only in a jilted kind of way. The two found fruits were predictably lifeless. One more so than the other. 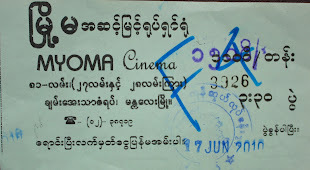 The more abandoned of the two theaters was the Mongkol Rama. Nevertheless, the beauty within was undeniable, even coated in think layers of dust and grime. 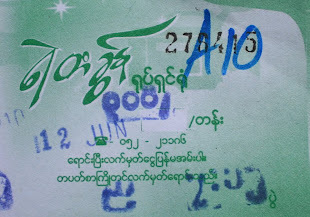 The Mongkol Rama - abandoned and partially concealed by a tree. 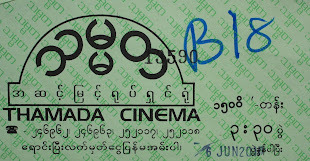 The Mongkol Rama of Tha Rua town was designed in the same vein as countless Thai theaters built during the 1960's and 70's. 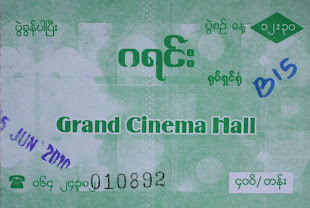 To access the theater, one would have to enter an alley between a break in the buildings, usually denoted by a street-side marquee and some eye-catching signage. The soi would open onto a retail plaza consisting of 2 and 3 story shop houses. In the center of the plaza stood the movie theater, which served as the anchor business for the entire development. 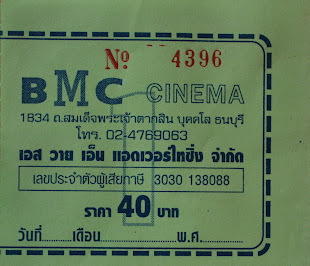 As Thailand's stand-alone theaters went the way of the Woolly Mammoth, the surrounding businesses - dependent for survival on the foot traffic of movie-goers - fell on hard times, too. Today these developments tend to verge on dystopian nightmares. If they're not fully derelict, then only a fraction of their store fronts are open for business. The dearth of investment has led to a blighted appearance, while their concealment makes them perfect haunts for the idle. As decrepit as they may look, though, these spaces are solid. Built of brick and reinforced concrete, they will last for years to come if only properly maintained. A fallen poster hangs from the poster board. 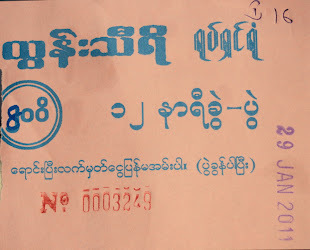 The reverse side says "mid-night." 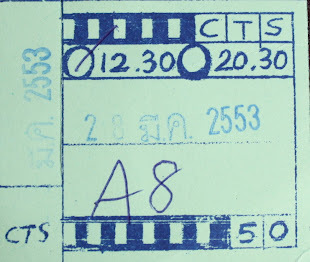 Mid-night screenings often featured x-rated films. 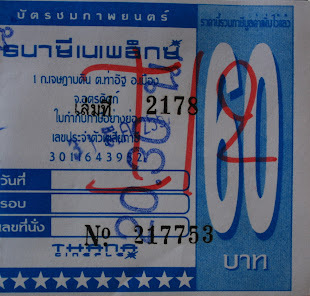 The last price charged for ticket at the Mongkol Rama was 20 baht. Up to the third level. The face of the Mongkol Rama is made of perforated concrete blocks to allow air in. A 440 seat auditorium falling to pieces. 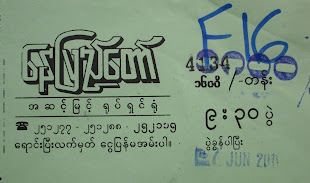 Like many mid-century Thai movie theaters, the design of the Mongkol Rama is basic. The facade is made of perforated cinder bricks, which allow air to circulate freely in the lobby areas. Sadly, the defining exterior feature of the this building - the signage - has been removed, leaving only empty metal cut outs in its place. 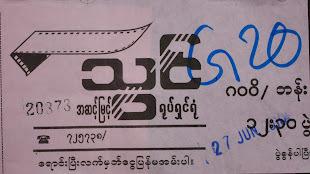 Locals dated the Mongkol Rama to 1970. 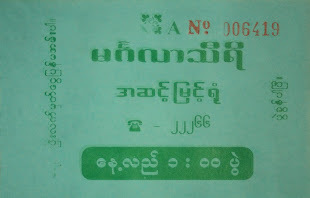 It was built by a man named Bu Seng. 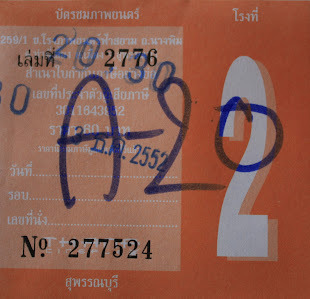 This feature appeared on Thai PBS on Friday, December 20th at 7:45 PM. 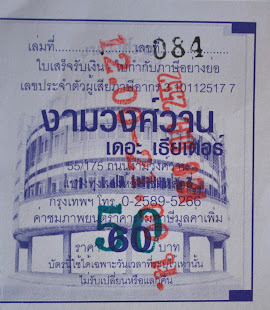 As a professional art form, architecture is taken quite seriously in Thailand. Although the most highly touted architectural works in the country tend to relate to the national narrative - generally either royalty or religion - there is a wide range of world-class work outside of that limited scope. Modern architecture, in particular, is especially well represented throughout Thailand. Most Thai towns are, in fact, comprised largely of various offshoots of that broadly defined school known as the"International Style." Though much of it is pure stock in both gauge and dimension, there are truly outstanding pieces all around, some of them tucked away in the most obscure of places. 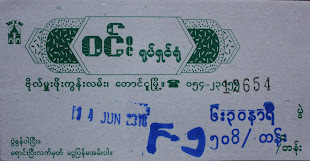 Ban Pong's Khosit Theater falls into that category: Outstanding obscura. Forgotten, but unique modern Thai architecture. What is it about the Khosit that makes it so architecturally special? For one, you seldom see buildings with this kind of top-heavy massing . The brutally heavy upper bulk seems to float weightlessly over the empty lower lobby. From this perspective, the Khosit appears as if the foundation was raised up and left suspended in the air. But the contrast between the bulky top and empty bottom is tied together by the wrap-around marquee and strip of windows set between the two. The marquee, it should be noted, protrudes out around the edges, while the windows are set back. One is reminded of a cold-cut slice sticking out from the enclosing bread. Add some asymmetry to the package, along with a softly curved corner (to lessen the severity of and the bulk) and the Khosit stands out as a highly sophisticated structure. The roof-top signage, moreover, with the lettering done on large squares of metal, matches the bulkiness below. 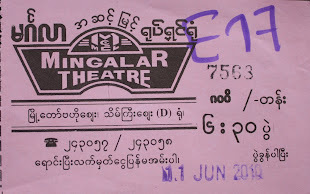 The Khosit Theater has a language all of its own. The Khosit Theater from a slight distance. 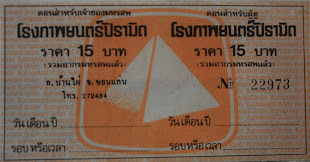 Thai modernism often does not get its due credit. Case in point, the Khosit. 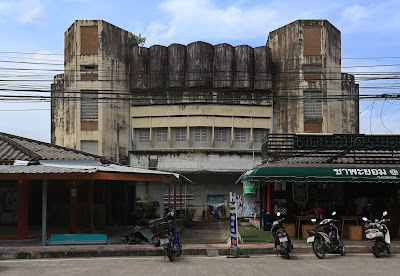 The Khosit was the last of three theaters to be erected in Ban Pong, one of Ratchaburi's most industrial districts. It's age and any additional background data were unavailable, though conjecture dates it to about 1980, give or take a few years. Rails for skate kids at the Khosit. 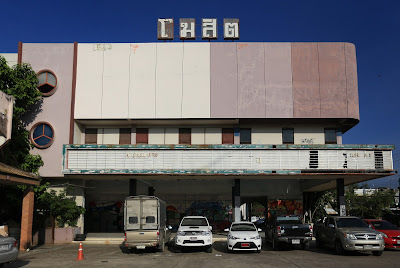 Though utterly abandoned, the Khosit holds the unique distinction among Thai movie theaters of being the only former cinema in the country that has been co-opted by the local skateboarding community. Every evening, the lower lobby serves as a refuge for local skate kids. Ollies and tailslides abound in a space once reserved for passive waiting and socializing. A pair of rails and a ramp, used for stake tricks, attest to this new found use. Skate culture often goes hand in hand with graffiti culture, which too has taken root in the abandoned Khosit. Main staircase leading to upper lobby. Signs of cinema still abound among some newer graffiti. Stairs leading to the auditorium, all tagged up. The upper lobby at the Khosit Theater is gated off. The large entrance leads to the auditorium. Upper bulk of the Khosit Theater. Brutally beautiful. 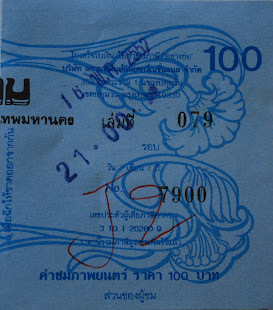 Modern Thai architecture wears a unique visage in the Khosit Theater. 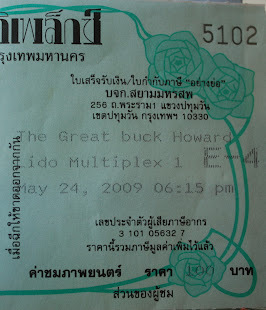 "Fifteen theaters were built throughout Thailand in this exact same style," he said, pointing in the direction of the abandoned behemoth at the far end of the field. Juxtaposed against the surrounding structures - dingy, mostly one-story shop houses - the citrus-hued theater glowed like the final minutes of a tropical sunset. 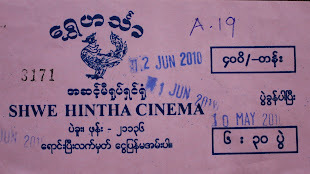 "The architect started with one theater. That one was a success, so he got more commissions, reusing the original blueprints again and again for a total of fifteen times. 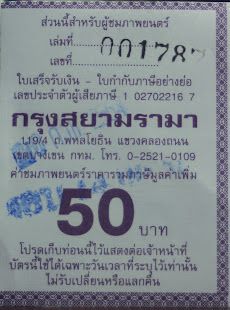 But the only other one I know of for sure is in Ubon. 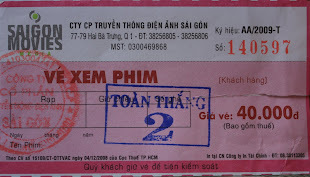 Or maybe it's Yasothon. I can't seem to recall." 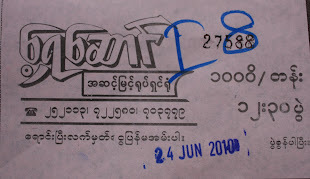 Mr. Samaan, former manager of the Khampaeng Saen Rama and current neighbor to it, cycled through a list of facts and figures about his former place of employment. 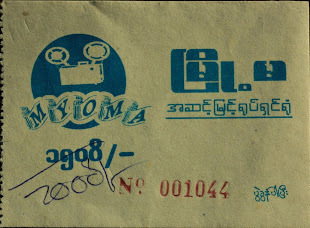 In the 80's and 90's he rented it from its owner, overseeing the day to day operations from the procurement of movies, to promotion and exhibition. 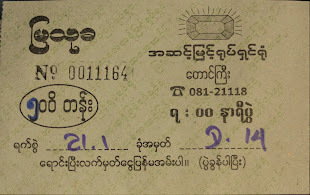 Being the only venue in town since the rival Trisuk Theater went out of business, Mr. Samaan had under his supervision the lone ticket to another world - a fact he was eminently aware of. 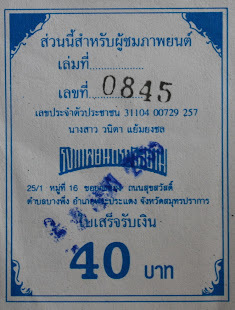 Being the second theater to be commissioned in the town of Khampaeng Saen, the Khampaeng Saen Rama was the more luxurious of the two. This dichotomy of comfort had an almost immediate effect upon the older Trisuk Theater, tucked away in the town's central market. 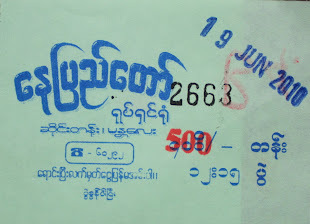 When the Khampaeng Saen Rama opened in 1982, it is likely that the town's movie-going market become over-saturated, leading to a decline in ticket sales at the older Trisuk Theater, which closed down soon thereafter. 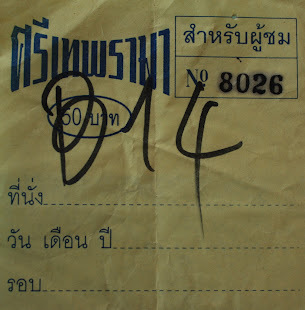 The difference in location also played a critical role in the Khampaeng Saen Rama's survival over the Trisuk. 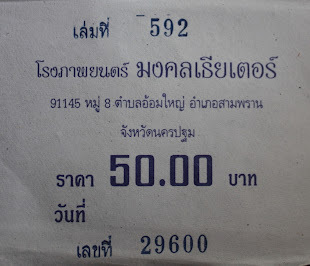 In the early 1980's, Thailand's industrial boom was just beginning to take off. 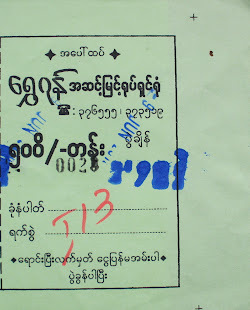 The wealth created by the boom led to a further proliferation of private cars into the country - especially in the central provinces where most of the industry was situated. 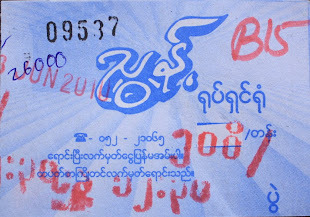 New car owners, pining to show off their hot new wheels with a trip to the movies, would have found parking difficult in the close quarters of the central market, where the Trisuk Theater stood. 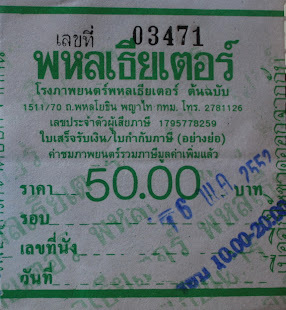 The Khampaeng Saen Rama, on the other had, was built just on the outskirts of town, along the highway leading towards the provincial capital and beyond. 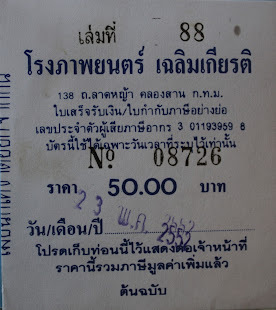 Parking was abundant in the surrounding fields, thus making a trip to the pictures less of a hassle. Dwarfing surrounding structures, the Khampaeng Saen Rama. Concession stand beneath the theater, stairs leading to the lobby. Ribbon windows allow natural light to flood the lobby, while aiding the vines in their quest to colonize. Left over lobby cards for the 1998 Wong Jing comedy "The Conman," starring Andy Lau. 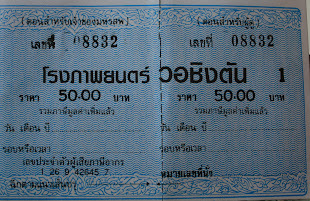 A mere 25 baht for tickets at the time of the theater's closure in the early 2000's. Inside the ticket sales room. 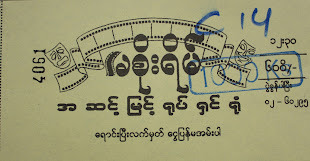 The equipment room was covered in graffiti, most of which related to movies screened at the theater. One could spend hours reading it all. Gutted auditorium, once home to 400 seats. 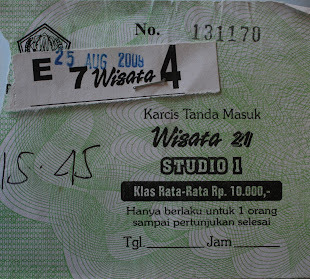 A VIP room was located at the rear. Manager's office with left over Jackie Chan movie poster on door. 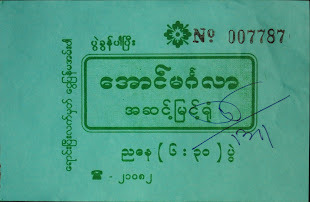 Samaan spoke reverently about his old work haunt, recalling capacity crowds for both movies and live concerts alike. "It was a lively place in its day," he mused. "There were times when the crowd would erupt with excitement or laughter; cheering and jeering for heroes and villains; swaying in their seats, or jumping out of them altogether. Running the place made me feel responsible for all those emotions." 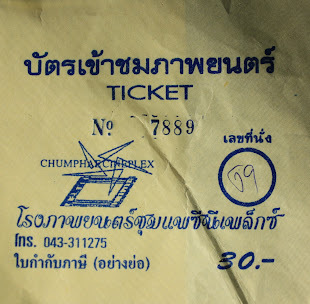 At some point in the late 80's, the Khampaeng Saen Rama was acquired by the Fred Films circuit, a Bangkok-based second-run theater chain owned by Mr. Fred Banpreecha. 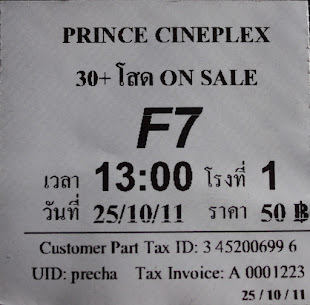 But following a reorganization of the national movie distribution system, whereby the country was divided into exclusive territories between a handful of companies, the notorious Thana Cineplex circuit - subsidiary of Pranakorn Films - came to control the market in west-central Thailand. 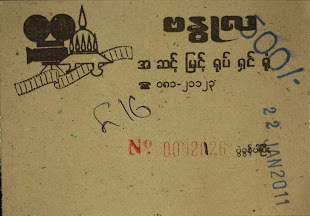 Known for the usurious business practice of charging a flat fee for each film instead of the standard revenue split between theater operator and distributor, Thana helped ensure further decline of the Khampaeng Saen Rama, which was already struggling against a rise of home entertainment consumption. 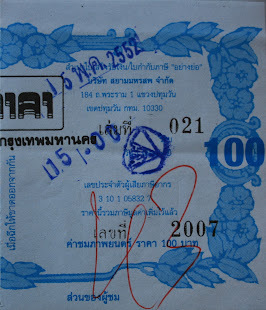 By the year 1999, the Khampaeng Saen Rama was through, ending a brief but bright run as Khampaeng Saen's cultural heart. 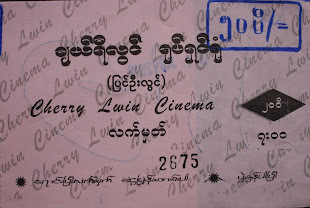 Like many formerly shuttered theaters in small town Thailand, it was given a brief revival in 2001 to screen the royally-backed epic Suriyothai, before once again falling dormant. 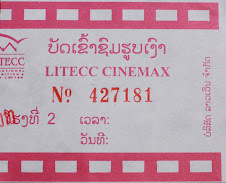 As for the remaining 14 theaters throughout Thailand built in the exact same style as the Khampaeng Saen Rama, this is something to be on the look out for. That is, if any still exist. For the second time in three years the Southeast Asia Movie Theater Project is being honored with a photography exhibition at the Luang Prabang Film Festival. 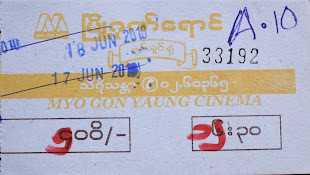 Now in its 4th year, the Luang Prabang Film Festival has steadily increased its profile in Laos and across greater Southeast Asia by screening the best of locally-made cinema from across the region. This year's festival, which will be enlivening the UNESCO World Heritage city from December 7th to the 11th, will showcase 28 feature films and dozens of shorts, all of which are free of charge and open to the public. 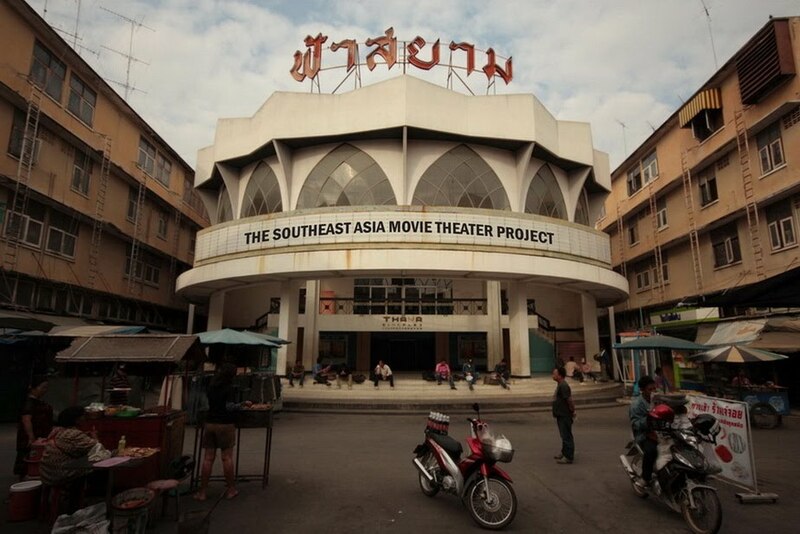 The Southeast Asia Movie Theater Project's exhibition will be held at Project Space Gallery, which is doubling as the visitors center for the film fest. 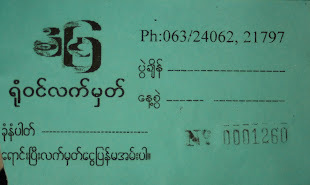 In addition, I will be giving a short talk about the SEAMTP at the gallery on the 9th at 10AM. 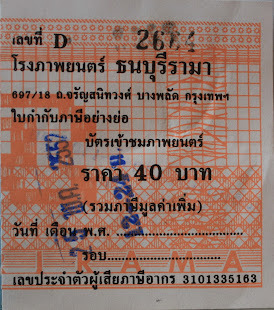 Nakorn Non Rama no more. 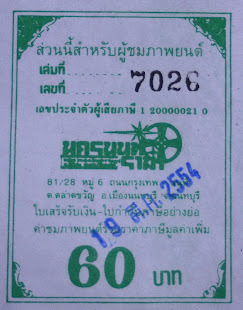 Double-feature theaters part of Thailand's past. In 1971, director Peter Bodganovich made the film "The Last Picture Show" - a coming of age story in which the closing of a small town movie theater is used to represent broader social changes to come. The allusion in the film is that insular, small towns, where everybody knows everybody else, would soon become divorced from their simplistic ways. Outside pressures in the form of war, deindustrialization, and other uprooting forces would relegate old communitarian bonds to history. The death of the movie theater was embodiment of that theme. 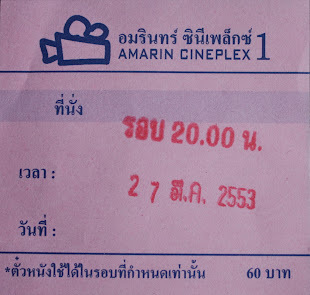 Today in Thailand, something very similar has happened: The last double-feature there closed its doors for good. 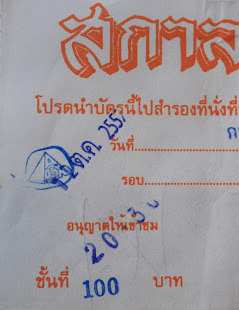 Until today, the Nakorn Non Rama was the lone holdout of a business model and structural type once nationwide in scope. The two-for-one ticket price and stay-all-day policy of double-feature theaters drew steady crowds for years on end. For the change in your pocket you could duck the rigors of life with consecutive movies on the silver screen. 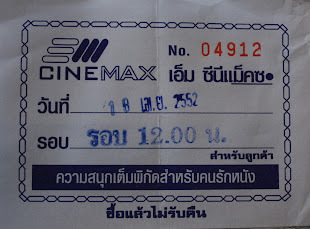 And if the movie didn't hold your attention then an air-conditioned nap - once a luxury for Bangkok's working poor - was the next best thing. 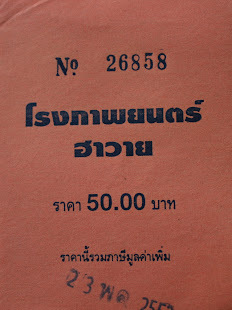 The Nakorn Non Rama was the last operating theater owned by Mr. Surachat Pisitwuthinan - better known by the nickname "Sia Hui." 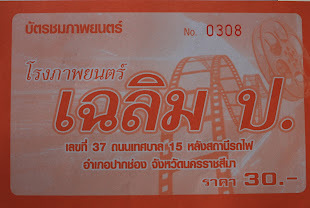 Through his movie distribution company, Nakorn Luang Productions, Sia Hui once operated a chain of double-feature theaters throughout Bangkok and its suburbs. 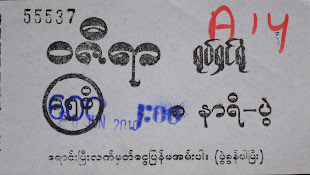 Ones already documented by the SEAMTP include the Ngamwongwan Theater and the Sri Siam Theater, though Sia Hui allegedly owned up to 10 theaters in total. In recent years, sluggish attendance combined with rising land values has led to a string of double-feature theater closures. 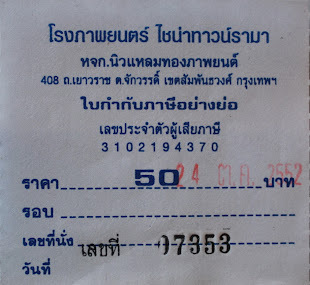 Now, with the Nakorn Non Rama out of the picture, this facet of Thai cultural life is officially a thing of the past. But lets not allow this to be a complete loss. It may very well be that the memory of the past will lead to interesting developments in the future. 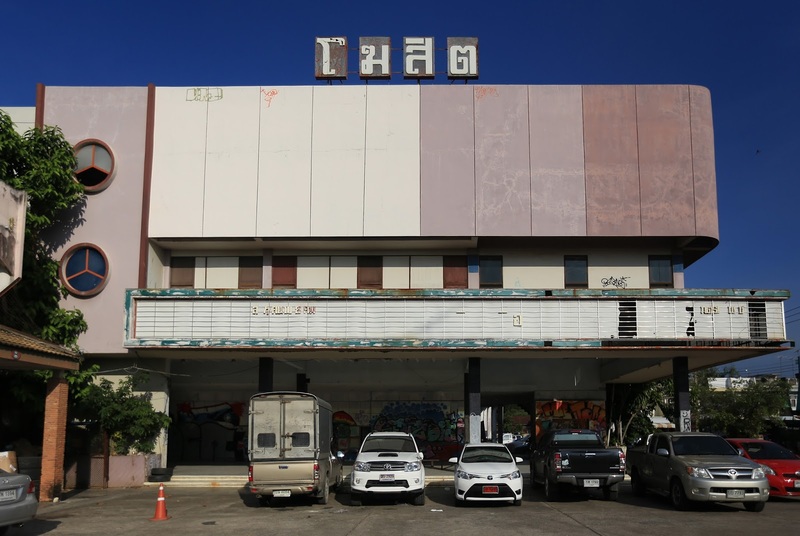 Perhaps some visionary will lead the way in salvaging one of the few remaining stand-alone cinemas in Bangkok, renovate it, apply a new business model to it, and create a new era for movie-going in Thailand. In this weird world we live in, stranger things have happened. 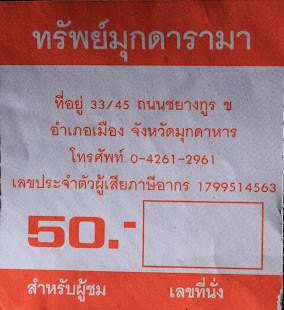 In the meantime, feast your eyes on what the world is losing with the demise of the Nakorn Non Rama.